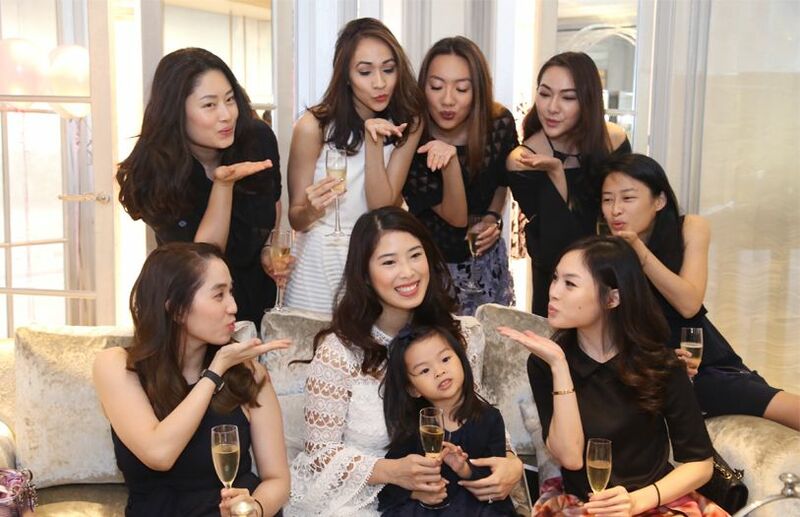 One week after her (then) soon to be other-half celebrated his bachelor party courtesy of Dior Homme, Juvene Goh and her merry group of bridesmaids gathered at the Dior boutique at Starhill Gallery for her own bachelorette party. The ladies enjoyed champagne, afternon tea, and all the delightful food that go with it, before being treated to a make-up session by their hosts. A prim affair, Juvene and her bridesmaids celebrated the evening with each other's company, just one day before Juvene and Marcus tied the knot.